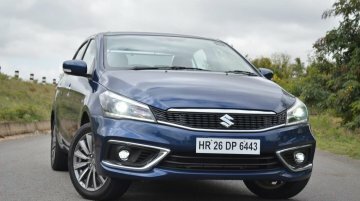 Maruti Suzuki India Ltd (MSIL) has finally introduced its DDIS225 E15A 1.5-litre diesel engine with a 6-speed manual transmission on the Ciaz. 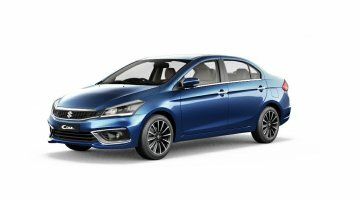 The new Maruti Ciaz 1.5L diesel engine variant has gone..
Toyota and Suzuki have announced that they are collaborating in new fields. The new areas of partnership include Toyota selling Suzuki’s Ciaz sedan and Ertiga MPV in India and Africa. The leap from BSIV to BSVI emission norms will make the future of diesel engines foggy in case of mass-market cars. 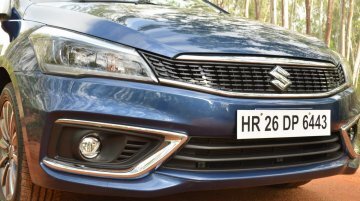 Suzuki, which holds a 56.2% stake in Maruti Suzuki, is not at all that keen..
NEXA dealerships have started accepting pre-orders for the Maruti Ciaz 1.5L diesel. 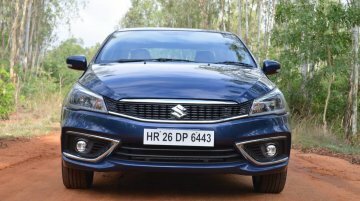 Sources have told IAB that INR 10,000 is the generally requested amount, but the deposit may vary at different..
During the days of the SX4 and the Baleno, it was hard to imagine a Maruti sedan that would comprehensively outsell the Honda City on a regular basis. 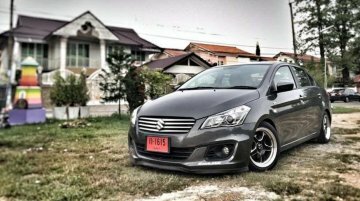 In the present scenario, however, the Ciaz, which..
Maruti Suzuki will introduce its all-new E15A 1.5L diesel engine in the Ciaz next month. While an official announcement is eagerly awaited, Team-BHP forum member Leoshashi has already revealed a few.. 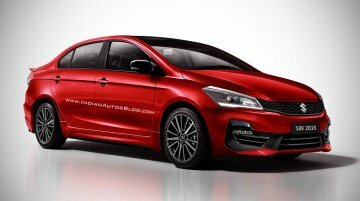 The Maruti Ciaz equipped with the all-new 1.5L diesel engine won’t feature a mild-hybrid system, says a new report from CarDekho. 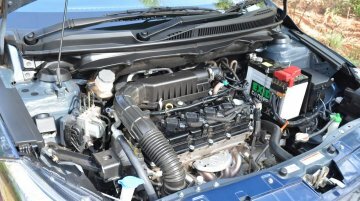 The 1.5L petrol and 1.3L diesel engine models currently on sale.. 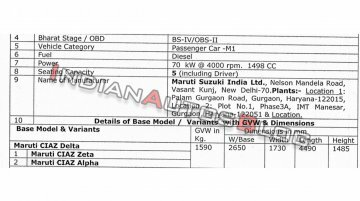 Earlier this month, it was reported that the Maruti Ciaz with an all-new 1.5-litre diesel engine is ready for launch. 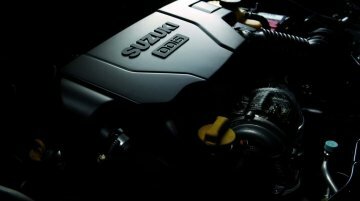 According to Team-BHP forum member Dr. Naren, the launch is scheduled in..
Maruti Suzuki is ready to introduce an all-new 1.5-litre diesel engine, starting with the Ciaz, but it’s not sure if this engine will achieve the success of the ubiquitous 1.3-litre diesel engine.. 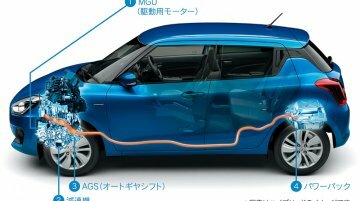 Earlier this month, CV Raman, Senior Executive Director (engineering), Maruti Suzuki, revealed that the price gap between petrol and diesel cars is slated to widen to up to INR 2.5 lakh with the.. 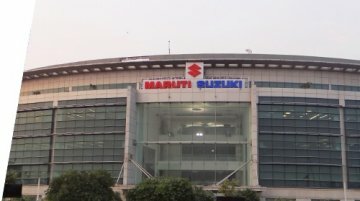 The price difference between petrol and diesel engine variants of all car models are all set to further widen with the introduction of the BSVI-compliant oil-burners before the deadline of 1 April,..
With the usual dip in demand for new cars due at the year-end, Maruti Suzuki is offering attractive discounts and schemes on its entire range of premium models that are sold through the Nexa retail..
Maruti Suzuki India Limited has launched a 'service campaign' to inspect and, if required, replace the speedometer assembly and owner's manual in the Zeta and the Alpha trim levels of the.. 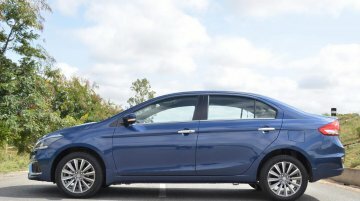 The 2018 Maruti Suzuki Ciaz has garnered over 10,000 bookings in India since its launch on 20 August. 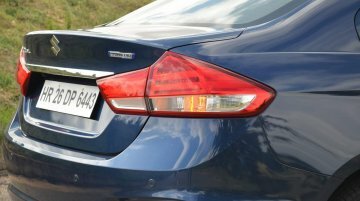 Moreover, the company has sold over 24,000 units of the Ciaz (pre-facelift &amp; facelift models).. 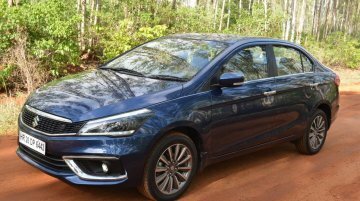 The 2018 Maruti Suzuki Ciaz (facelift) was launched on August 20 and is on sale in the price bracket of Rs 8.19 - 10.97 lakh. It's available in four trims - Sigma, Delta, Zeta, Alpha. The 'S' trim of..